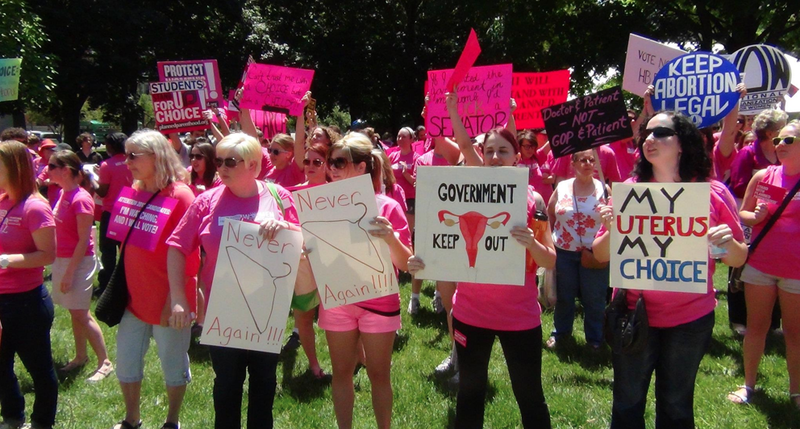 State House Republicans today tabled a vote on a package of anti-woman, anti-choice bills that is being called the most regressive legislation of its kind in the country. 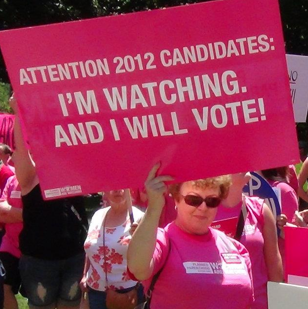 With hundreds of protesters filling the Capitol building and grounds, mostly women dressed in pink t-shirts sporting the phrase “Women are watching and we vote”, a vote scheduled today was tabled. 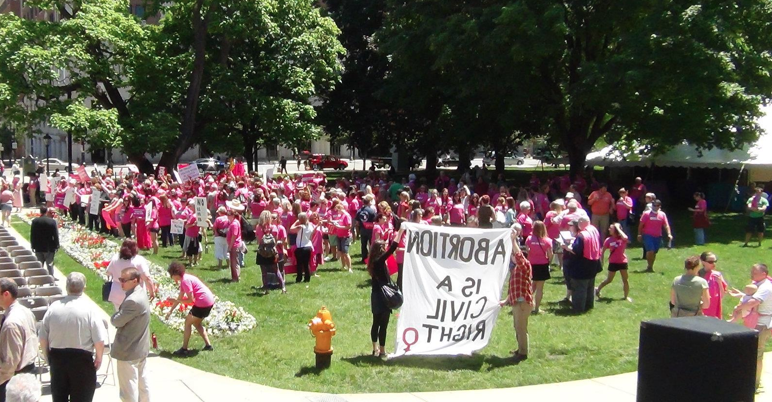 Nearly 500 supporters of women’s reproductive health care swarmed the Michigan capitol in Lansing this afternoon wearing t-shirts saying “Women are Watching.” The crowd gathered to protest a sweeping House omnibus bill (HB 5711, 5712 and 5713) that would all but eliminate access to abortion care in Michigan. 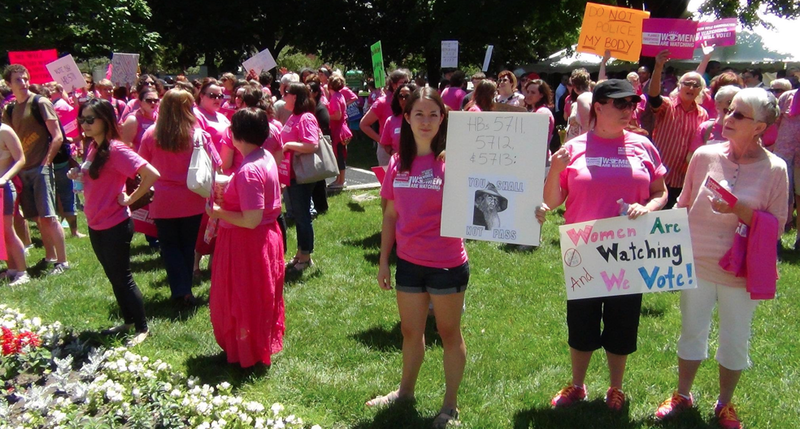 The protest came days after citizens were denied the opportunity to comment on the bill when it was before the House Health Policy Committee. On Thursday, committee chair Gail Haines, (R- Waterford Twp.) 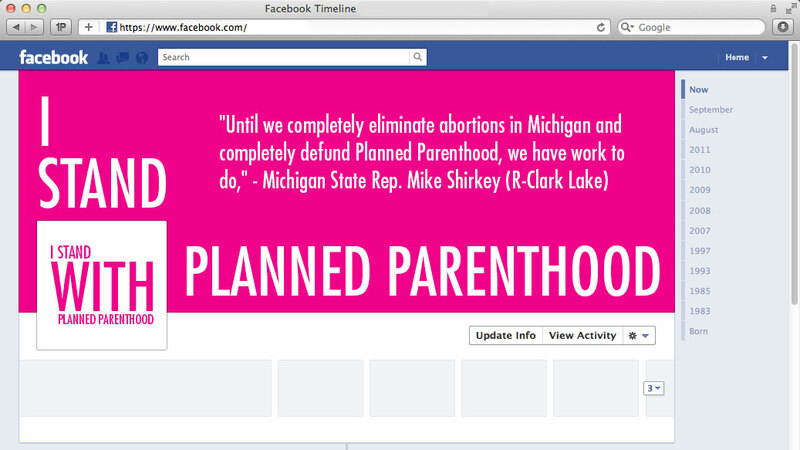 shut down the hearing rather than take testimony from groups like the ACLU, Planned Parenthood, the Michigan Health and Hospital Association and the Michigan State Medical Society. 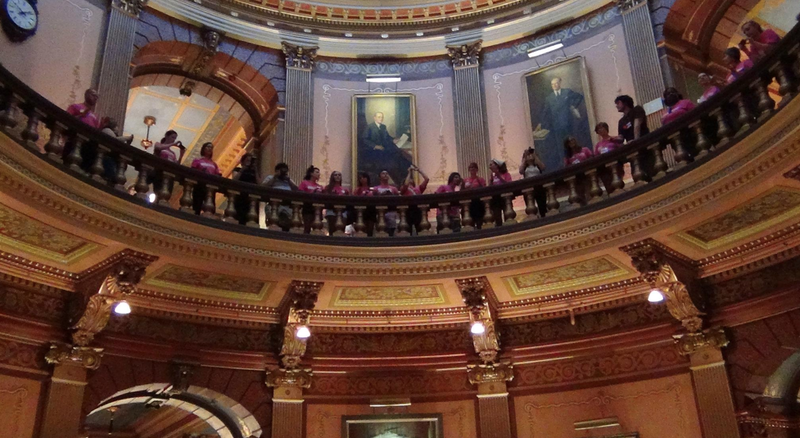 Women, men and professionals returned to Lansing today to witness the House vote on the 58-page bill, which has been pushed through the legislative process with unprecedented speed and without public comment. But as protestors crammed the gallery and others pounded on the Rotunda banister chanting “This is our House!” and “We will remember in November!” the House tabled the vote. “We are not going away,” Lamerand concluded. You can view more photos HERE. You can view video of pro-choice supporters being denied the right to testify at last week’s hearing HERE.